Video posted to social media shows rescuers searching through the debris of damaged buildings hit by airstrikes said to be in the town of Douma in Syria’s Damascus region. 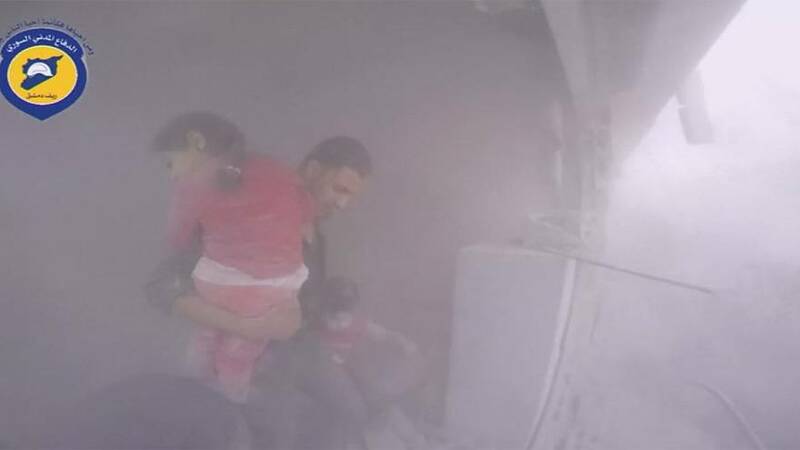 The video shows a bloodied person reaching their hand up to rescuers from beneath piles of rubble and a child being carried away from the damaged building. Jets struck a busy market place in the rebel-held Syrian city of Idlib on Saturday, killing at least 25 people, including children and women, and injuring dozens, rescue workers and residents said.